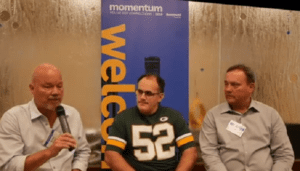 Episode 288: ControlTalk NOW — Smart Buildings Videocast and PodCast for week ending Oct 20, 2018, comes to you from the Renaissance Orlando at Seaworld, Orlando, FL, where our coverage of Honeywell’s 2018 Momentum Event begins with interviews with rising industry star, Phil Zito, CEO, Building Automation Monthly (BAM), and veteran Building Automation Systems and Security Integrations expert, Roger Rebennack, CEO, Jackson Control. 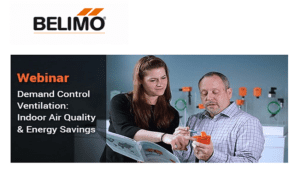 Contemporary Controls featured at Building Automation Training; Belimo Demand Control Ventilation Webinar; and Connect-Air’s Wire & Cable Division Focuses on Wire and Cable Distribution for HVAC, Security & Fire Alarm Systems. 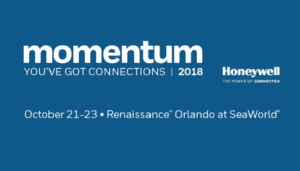 Honeywell’s Momentum 2018 Conference theme is “You’ve Got Connections,” and is dedicated to next-gen building innovations. ControlTrends is amidst a network of over 400 elite distributors, integrators, contractors, product experts, and exhibitors for three days of business-building insights and a chance to interact with the latest products and solutions. Day 1 will begin early AM with a General Session, followed by a myriad of Breakout Sessions and Vendor Trade Show. Our first ControlTalk NOW interview is with Phil Zito, CEO, Building Automation Monthly (BAM), who previews BAM’s fast-track training options. BAM is all about increasing the profitability of your building automation business. BAM provides online building automation training that increases the ability of your building automation employees to execute their jobs as profitably as possible. Check out BAM’s online courses that will provide the skills that your employees need — to execute their building automation work as profitably as possible. Our second ControlTalk NOW interview is with Roger Rebennack, CEO of Jackson Control. Very few people in our industry possess Roger’s passion, innovation, and dedication to the security sector of enterprise security integrations. The team at Jackson Control have taken Threat Level Management and Shooter Detection Systems to the next level. 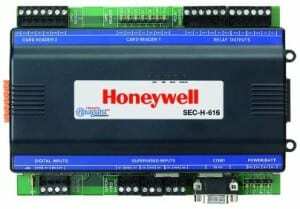 Jackson Control is now the Honeywell National WEBs N4 Security Distributor and Solutions Design Center. 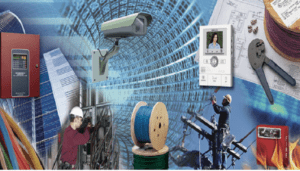 Connect-Air’s Wire & Cable Division Focuses on Wire and Cable Distribution for HVAC, Security & Fire Alarm Systems. Since 1978, Connect-Air, now part of the Genuine Cable Group, has been a leader in supplying electronic cable and cable assemblies. In 2015 Connect-Air was acquired by EIS, Inc., a North American Distribution Leader in the electrical industry, and part of GPC, a Fortune 200 Company. Connect-Air is now part of EIS’s Genuine Cable Group, which includes Seacoast Electric, Cobra Wire & Cable, and Electro Wire. Belimo Demand Control Ventilation: Indoor Air Quality & Energy Savings Webinar, Wed, Oct 31, at 1:00 PM EDT. Register now for Belimo‘s Demand Control Ventilation Webinar and learn how you can maximize your Indoor Air Quality & Energy Savings. What exactly is demand control ventilation and how does it help my building? Join Belimo for a webinar to learn how using demand control ventilation helps you to have better indoor air quality and improved energy savings. By utilizing Belimo’s humidity, temperature, air quality, and air differential pressure sensors accurate measurements will ensure optimal HVAC system performance for the life-cycle of a building. Contemporary Controls BAScontrol22 and BAScontrol Toolset Featured at Building Automation Training. Contemporary Controls is excited to announce that their BAScontrol22 and BAScontrol Toolset were utilized at a 4-day course on Building Automation Systems (BAS) taught at the newly completed International Training and Conference Center in Cosby Texas. 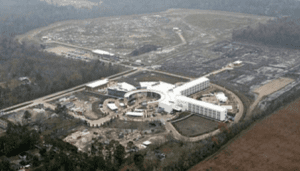 This 237-acre facility is the largest and most comprehensive training facility for union Operating and Stationary Engineers in North America. “Nothing behind me, everything ahead of me, as is ever so on the road.” ― (Jack Kerouac, On the Road) Day 4 of ControlTrends On the Road takes us to the beautiful Hotel Del Coronado, a spectacular bridge ride south of San Diego where the Team CGNA, was orchestrating their theme of “I’m All In,” stirring over 40 of the most successful North American distributors through a vendormopoly featuring world-class manufacturers and vendors,large and small. A well-managed trade show still delivers fast-track networking, mind-share exchange between customers and suppliers, and a great forum to present new products and solutions. Well done Team-CGNA! CGNA Vendor Showcase from Eric Stromquist on Vimeo. Welcome back to ControlTalk NOW. This week’s spotlight is the review of the 2013 ControlTrends Awards Show in NYC, at the B.B. King Blues Club and Grill. Please enjoy the myriad of photos and videos on ControlTrends. We will posting a variety of interviews and highlights and a wrap-up video in the very near future — that you won’t want to miss. 2013 ControlTrends Achievement Awards: TrendSetters Recognized. The ControlTrends Achievement Awards, given at start of the 2013 ControlTrends Awards show, recognized those people, products, and companies that provided our industry with swift and innovative market and product leadership, as well as solutions that met the changing needs and imperatives facing our industry. ControlTrends Awards Announces the 2013 CTA Award Winners, Petock Award Recipient, and Hall of Fame Inductee, Jerry Frank. The 2013 ControlTrends Awards and red carpet event at NYC’s BB King Club and Grill were a huge success! The same fierce storm that delayed this post (hotel internet service down) unfortunately, also caused many to miss this exciting industry milestone. WattStopper’s Product Selection Guide (PSG) Vital Product and Code Information at Your Fingertips. WattStopper’s Product Selection Guide (PSG) includes vital information about every product WattStopper offers. ◦ Easy-to-use softbound publication, 544 full color pages ◦ Complete product cut sheets for every lighting control product from Digital Lighting to Lighting Control Panels, Occupancy Sensors to Vacancy Sensors, Daylighting Controls to Wireless Lighting Controls ◦ Energy code information ◦ Lighting control strategies ◦ Design and application information ◦ Lighting control resources and services. Honeywell Announces New WEBs Security Products: Honeywell is pleased to announce new products and part numbers for the WEBs Security controllers. 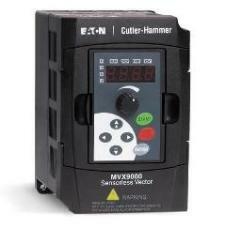 These new products have a pricing model that is more competitive, particularly in the Small Building Market that requires a lower cost for a two reader controller. Meet the U.S. Safe Drinking Water Act “Lead Free” Standards with GC Valves NSF Solenoids. GC Valves is now manufacturing and shipping solenoid valves that meet state and federal requirements for drinking water. The S20 and S21 Series stainless steel and Noryl solenoid valves are fully certified to NSF/ANSI 61, which establishes minimum health effects requirements for the materials, components, or systems that contact drinking water or drinking water treatment chemicals. Over the last several years organizations and groups have been extremely successful in connecting our industry with standards. The name “Connection Communities” has been attached to the purpose and function these organizations provide. Great job by Ken Sinclair and automatedbuildings.com. 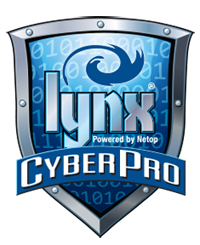 Don’t forget to read Ken Smyers’ interview referencing of our 2013 ControlTrends Awards show. <ahref=”http://traffic.libsyn.com/hvaccontroltalk/71_Episode_71__ControlTalk_Now__HVAC_and_Building_Automation_Control_News_You_Can_Use.mp3″ target=”_blank”>Click here to listen to or download the Podcast version of ControlTalk Now. For many of the heroes and superstars of our HVAC industry, The 2013 ControlTrends Awards began with a walk on the red carpet and photo op with the Rockettes, before the luncheon and the awards ceremony were started. Thanks once again to everyone that made the 2013 ControlTrends Awards such a resounding success, especially our corporate and media sponsors. It is a pleasure and an honor to produce this entertaining and memorable event for such a deserving industry. The 2013 ControlTrends Awards and red carpet event at NYC’s BB King Club and Grill were a huge success! The same fierce storm that delayed this post (hotel internet service down) unfortunately, also caused many to miss this exciting industry milestone. Austin Powers, Marilyn Monroe, and Frank Sinatra were on-hand to assist MC, Marc Petock in recognizing the HVAC and Building Automation superstars, heroes, and award winners of 2013. ControlTrends Awards also unveiled the ControlTrends Awards Museum, the future digital home of all the nominees, award winners, and members of the Hall of Fame, as well as the integrated information source and documented history of the HVAC-related industries. Also announced, were its second Hall of Fame Inductee, Jerry Frank and the Petock Award recipient, John Petze. Jerry Frank, Hall of Fame Inductee: Jerry Frank created Tridium in 1995, introducing the Niagara development platform that would forever change the building automation industry, and positively impact many other neighboring industries. For over a decade, Jerry Frank and Tridium, then provided next generation technology, vision, and forged the future roadmap that continued to expand Tridium’s position as the industry leader and most recognized innovator. ControlTrends Awards once again expresses its sincere thanks and gratitude to its corporate and media sponsors for their generous support and we already look forward to capturing and producing the 2014 ControlTrends Awards. 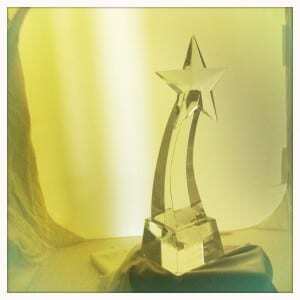 Please stay tuned for complete video and photographic coverage of the awards show soon to be posted. Twisted pair cables were invented by Alexander Graham Bell in 1881, and ever since — cables and wires have become the ARTERIAL systems of every building and certainly the critical life-lines of every Building Management and Integrated System. In 1978, Connect-Air International, with an experienced staff and vast resources, emerged as an industry leader in supplying electronic cable, cable assemblies, and solutions. Connect-Air’s extensive knowledge grew early with the industry and they are uniquely poised to provide you with superior technical assistance with your most challenging interconnection applications. Considering that a typical building structure may have a life cycle of 60 years or more, while a data system life cycle is around 3-4 years; digital voice and video systems with life cycles of 5-7 years; and Building Management Systems ranging 7-14 years (often guaranteed only with specific cable types) you can find yourself working with control cabinets and panels full of incompatible spaghetti, costing you fits and big money! Electricity travels at approximately 299,330 km per second (180,000 miles per second)! Mistakes and oversights travel almost as fast! Let Connect-Air guide you through your most difficult interconnection needs, especially when you are dealing with capacitance, resistance, attenuation, near-end cross talk, and proprietary bus issues. With eight strategically-located warehouses and a network of distribution partners, throughout North America, Connect-Air has incomparable industry experience and logistical leverage. Connect-Air is able to provide you all of your cable and wire needs — when you need them, at competitive prices! ControlTrends Awards thanks Connect-Air for being a 2013 Sponsor! Connect with Connect-Air today! Check out my interview with Sean McCarthy and Sarah Montelene from Connect Air. 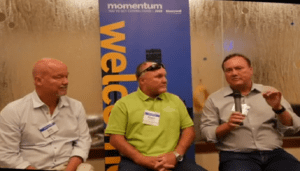 Find out why wire and cable is not going away in out industry and why control pros in the know buy their wire from Connect Air distributors.